Every year we celebrate earth day to demonstrate that we care about the future of our planet. There are a lot of things that can be done such as planting a tree, reduce litter, and much more. But, what if, you’re too busy or lazy to go out and do these things? You’d be surprised to know that there are a number of things that you can do to play your part. This includes anything from, switching off your electronics when they’re not in use, to saving water when you’re in the bathroom. Become a handyman and invest in tools to do quick fixes at home instead of throwing away stuff. 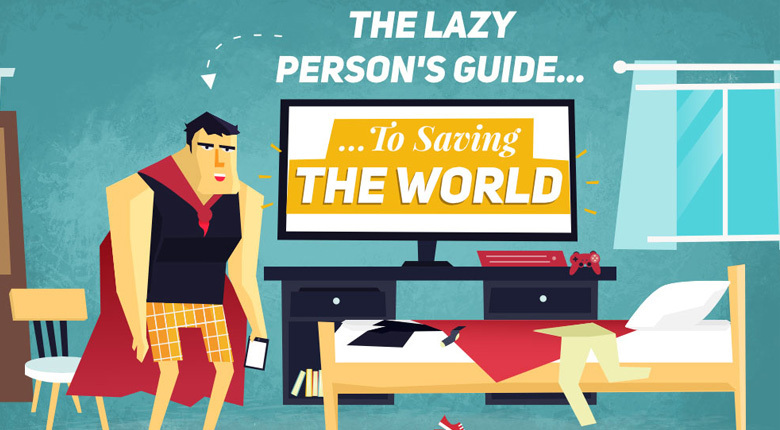 Check out this guide below inspired by United Nation’s guide to saving the world.